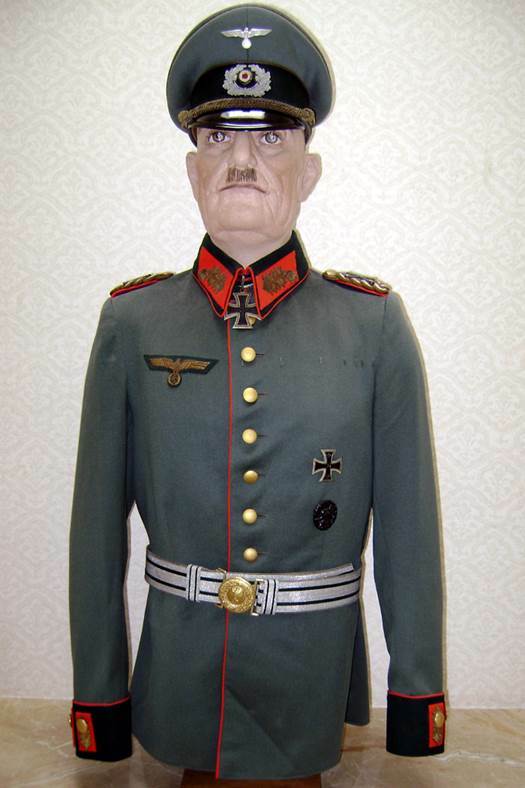 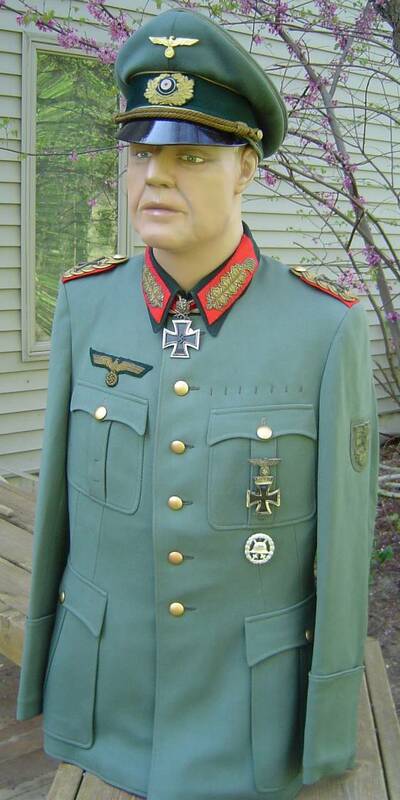 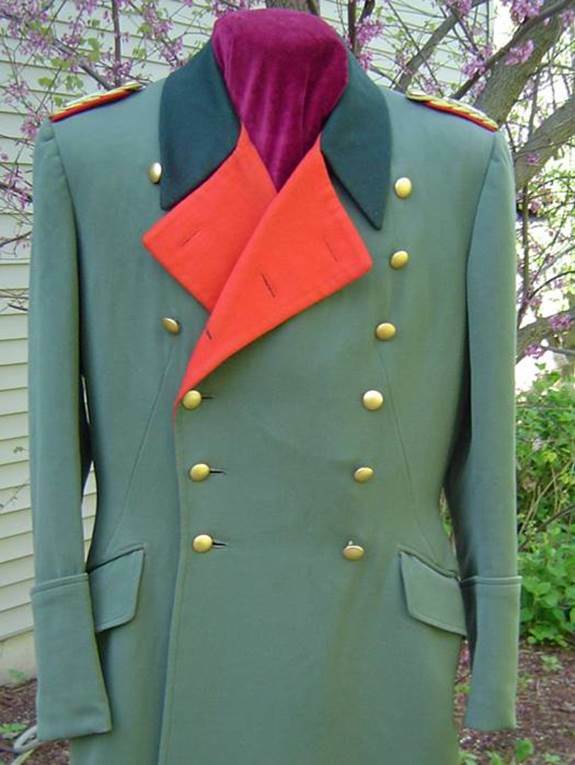 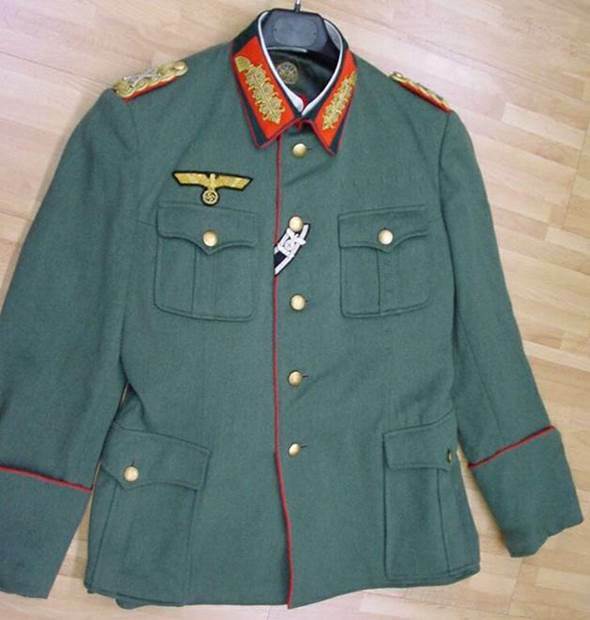 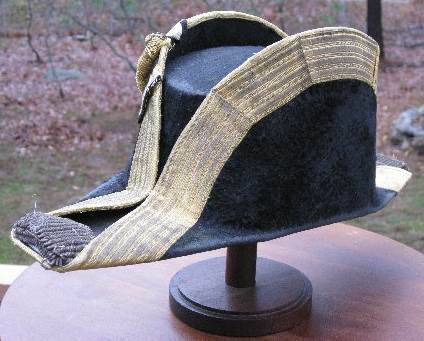 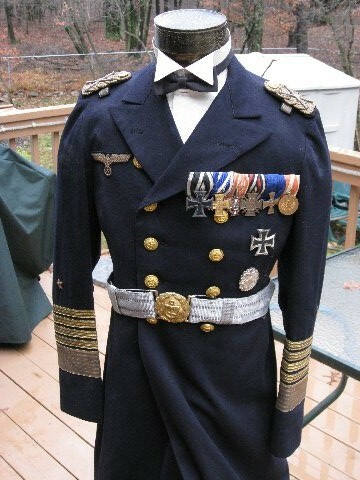 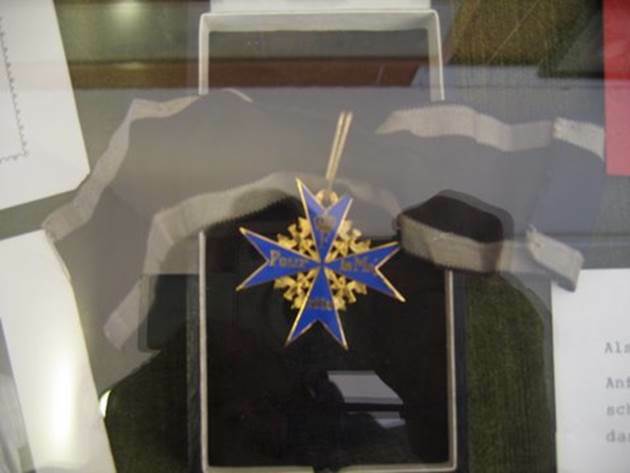 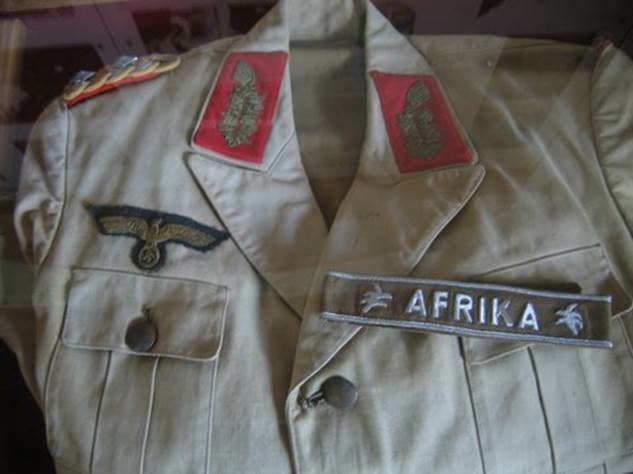 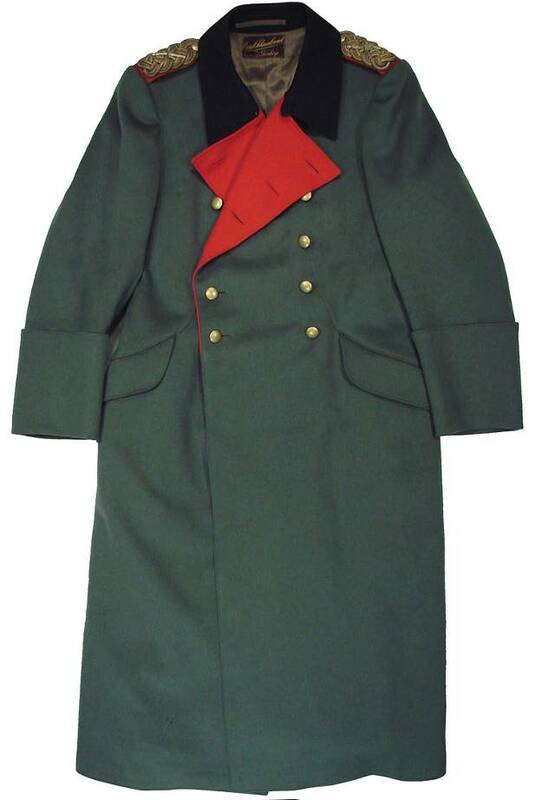 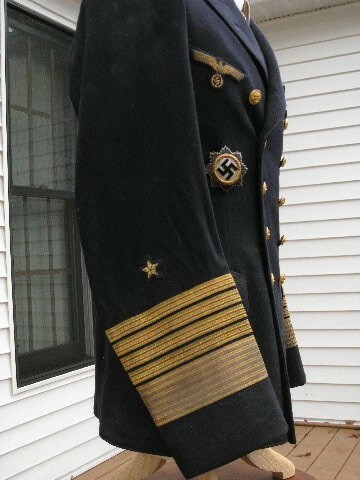 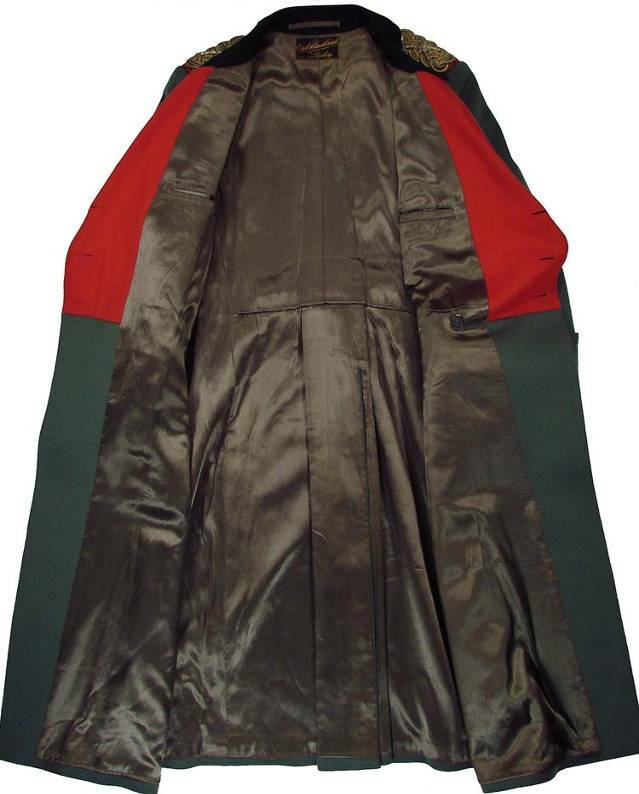 This tunic and insignia grouping belonging to GFM von Bock is courtesy of the Holzauge Historical Research collection. 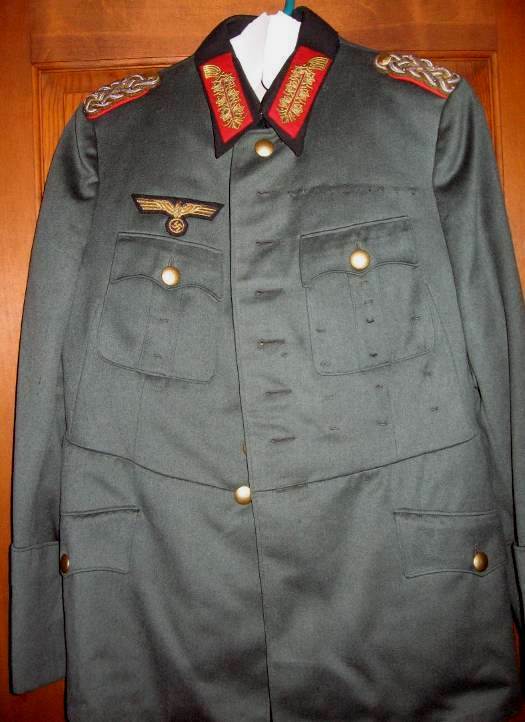 Piped service tunic with 1941 regulation pattern shoulderboards and collar tabs. 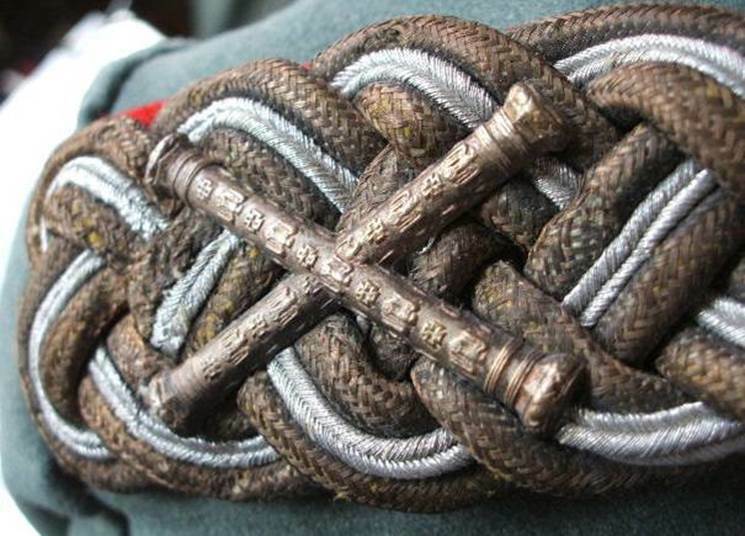 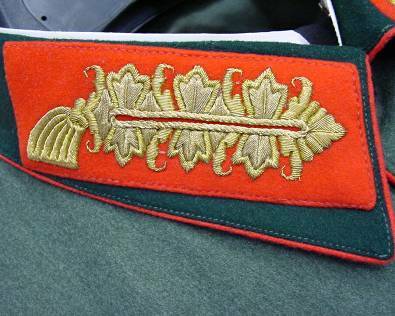 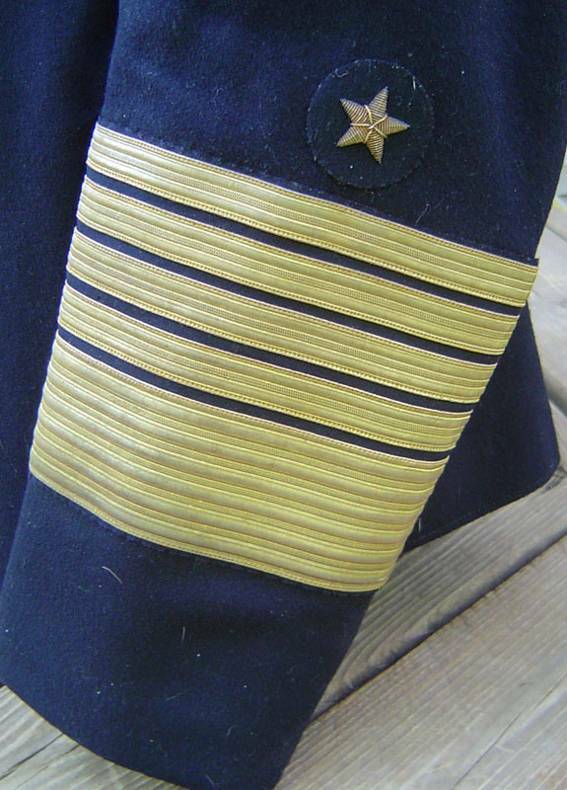 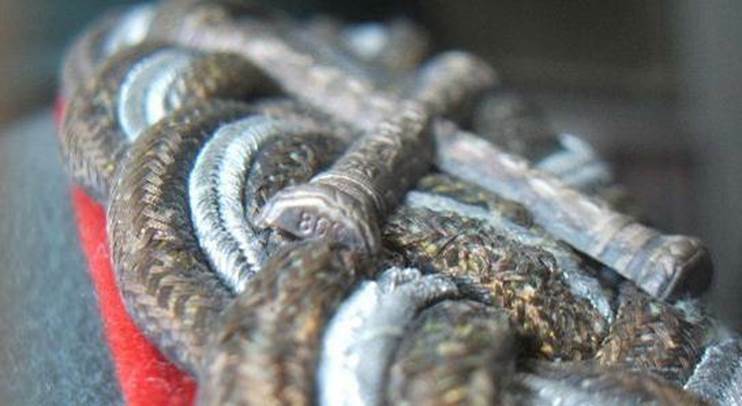 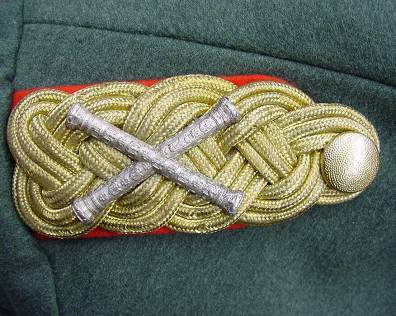 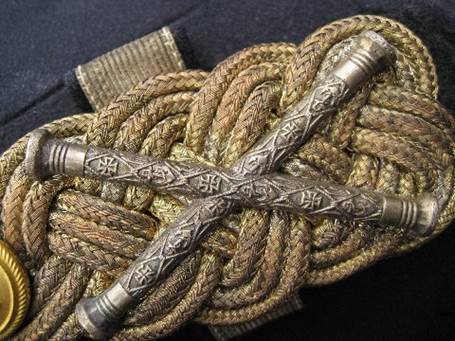 Close up of the ’41 pattern shoulder boards exhibiting the highly detailed silver batons and all braid in gold as per regulation. 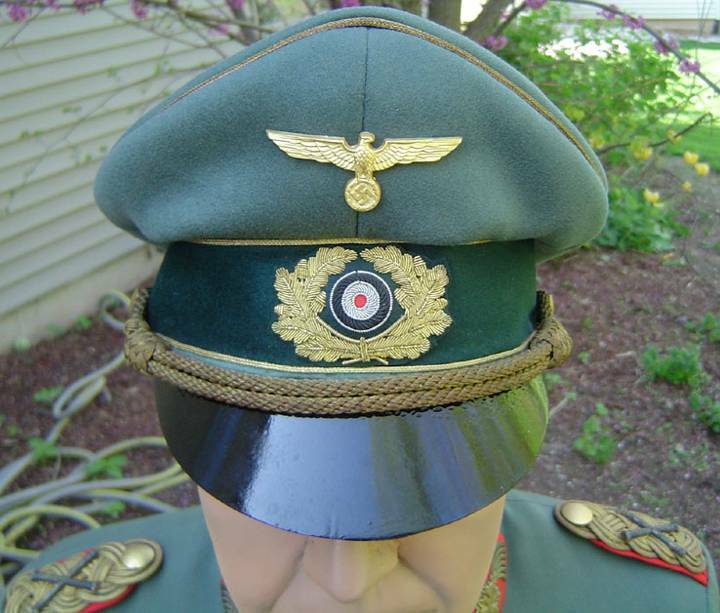 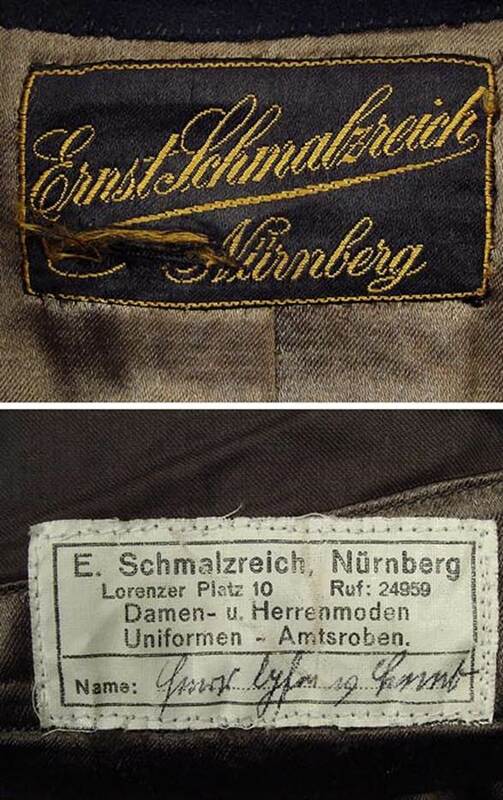 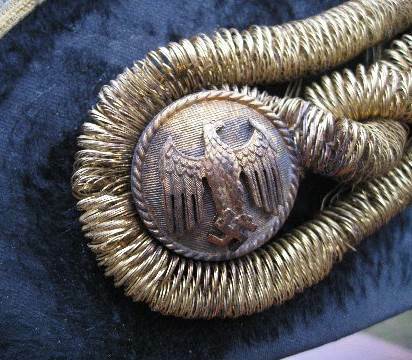 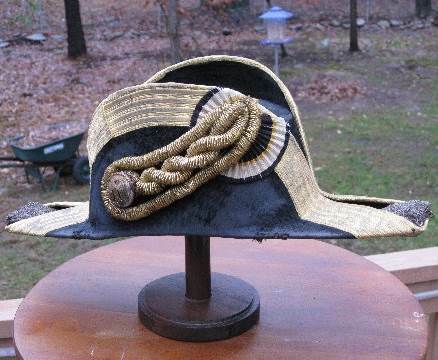 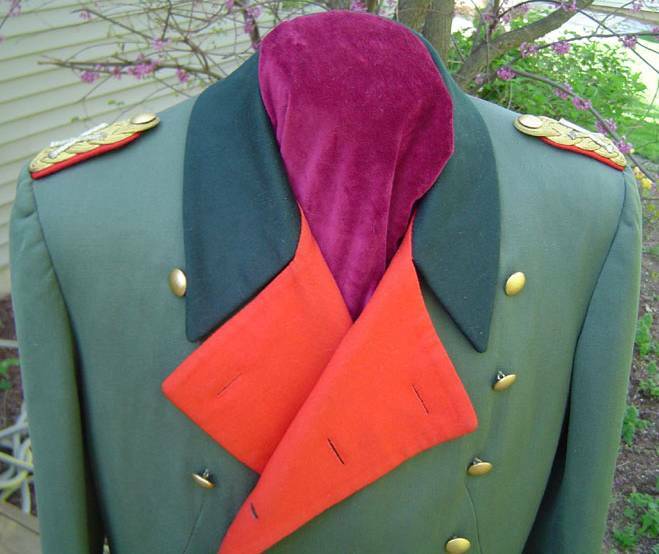 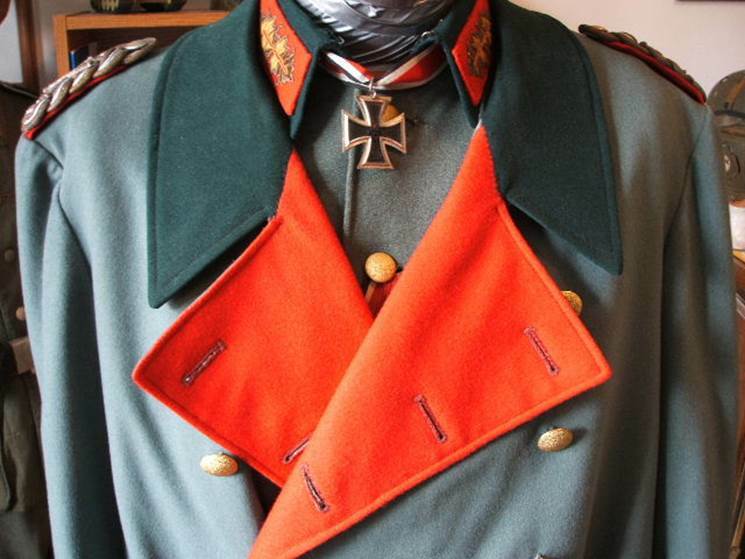 Close up of ’41 style collar tabs which are an elongated version of standard generals tabs showing three prongs signifying Generalfeldmarschall. 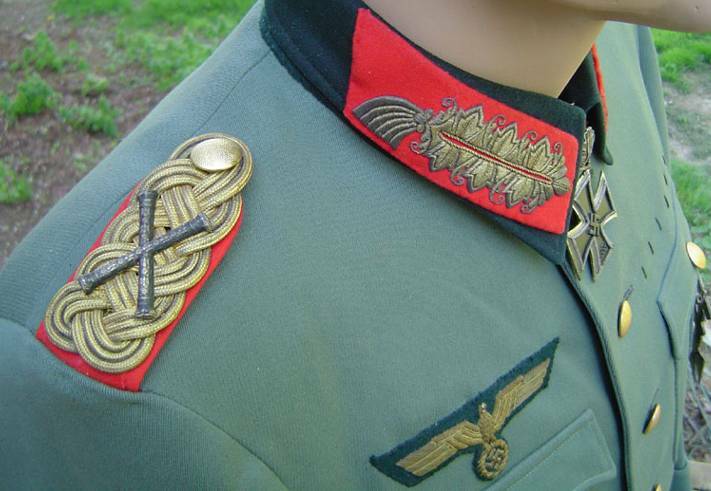 A grouping of GFM von Bock insignia reflecting a mix of 1941 regulation style shoulderboards in all gold cording with detailed batons and non-regulation standard General officer (not Generalfeldmarschall) collar tabs. 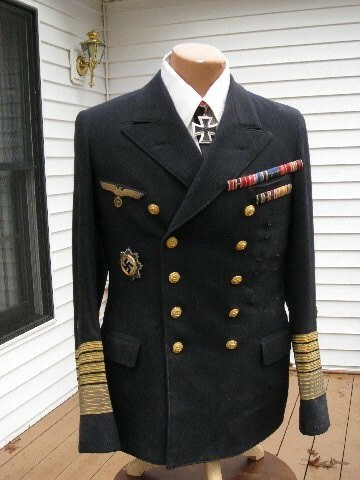 This is not at all unusual. 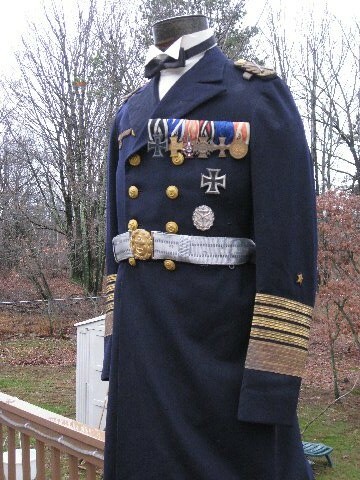 A careful study of period photographs shows many GFM wearing a mixture of regulation and non-regulation boards and tabs. 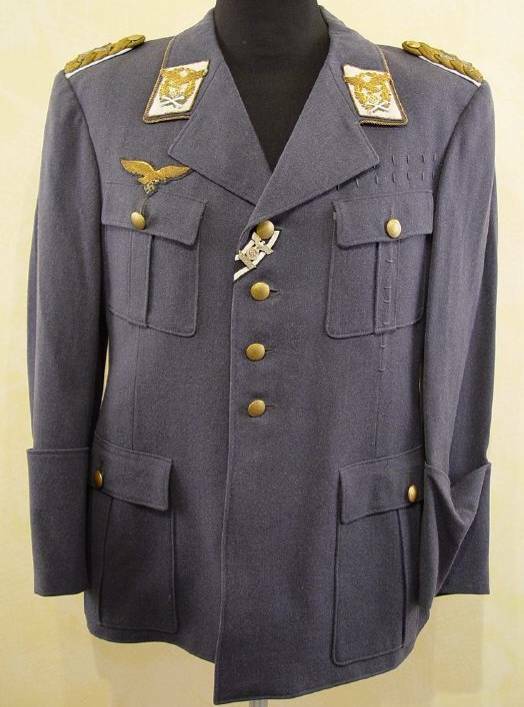 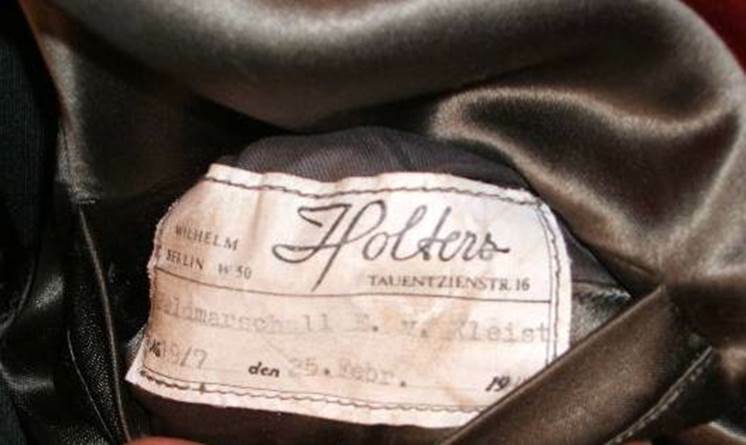 This tunic belonging to GFM Milch is courtesy of the Holzauge Historical collection. 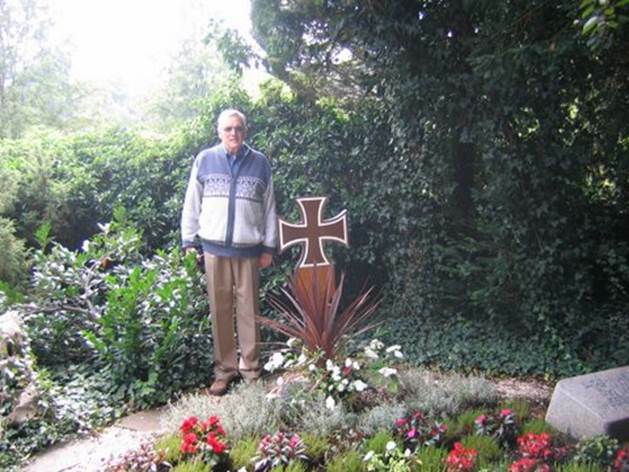 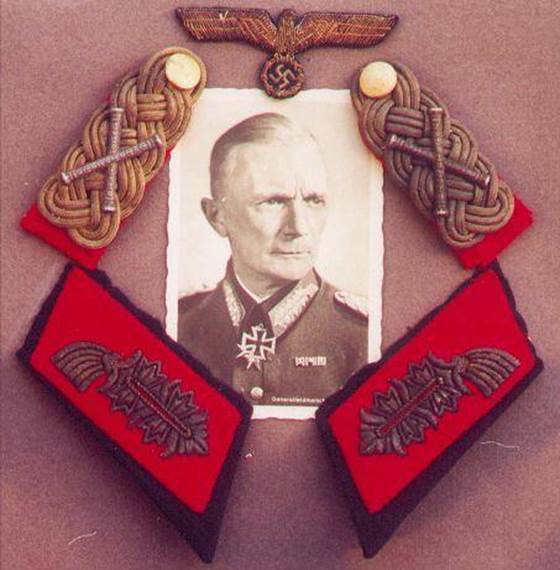 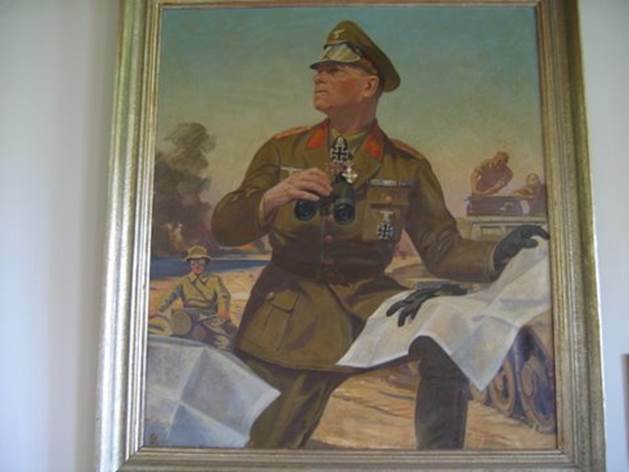 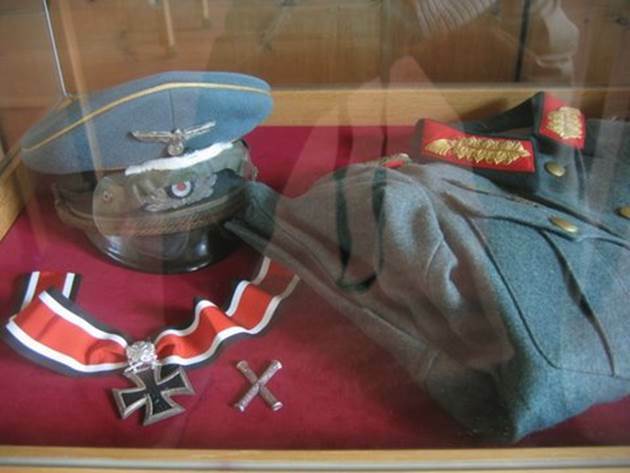 An intensive study of Milch’s insignia can be found in the Luftwaffe Generalfeldmarschall page.